Here are some of the many community service projects done by our students over the years. At Leadership Kaua'i, we believe that leadership is foundational to the successful implementation and completion of impactful community projects. The first graduating class of the Pi'ina Hoku Youth Leadership Program in 2007. This project implemented a website to bring PTSA programs from each school together.The Kaua`i PTSA site serves as an informational tool to make it easier for parents to get involved. All middle school and elementary schools participated in the development of the site to list contact information and meeting times for each PTSA. Grants from KIUC were utilized to implement and host Kaua'i PTSA.org. 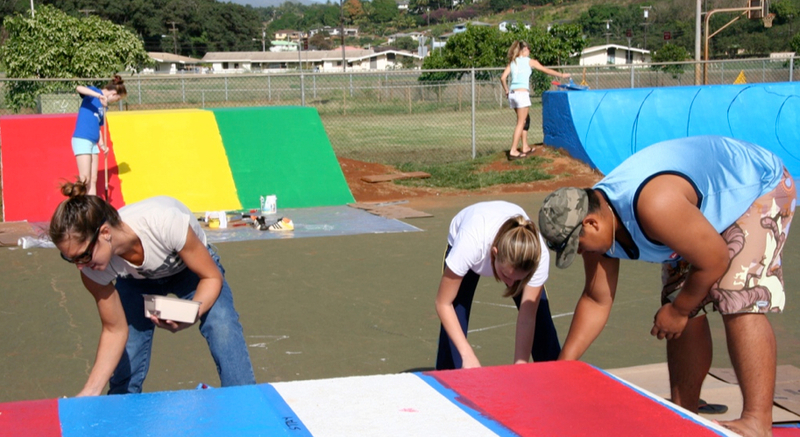 The project focused on beautification and painting of the Kapa`a skate park in collaboration with local artists to help deter vandalism. March 31, 2007 - A skate contest was held for the youth in our community to enjoy the newly restored skate park. The project provided a presentation and document of resources and tools local non-profit organizations need to succeed. 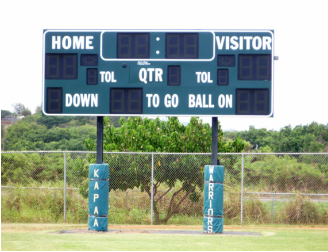 This project was managed and implemented to fulfill the desire for a new stadium to be available for Kapa`a High school (the only school on island that did not have a stadium.) Today and for many years to come, both local schools and sports groups use and enjoy the facilities. December 8, 2007 - This project provided a complimentary showing of the movie “An Inconvenient Truth” and a panel discussion with local leaders who provided insight and raised awareness island wide to the effects of global warming and what our community can do on Kaua`i to make a difference globally. 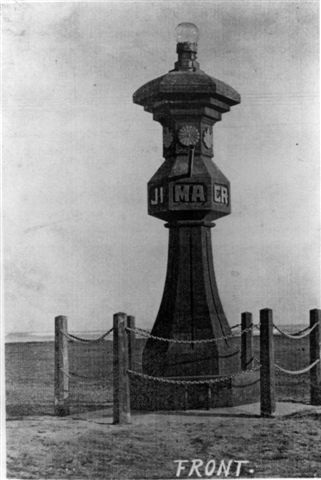 Image from HistoricHawaii.org of the Kapa'a Japanese Lantern. Designated as one of “The Nine Most Endangered Historic Sites in Hawai`i” by the Historic Hawai'i Foundation, the Kapa`a Stone Lantern has a significant historic and cultural value and is an educational asset as well. The project will preserve a civic monument that will enhance community pride. To learn more about this project and how you can help go to: www.kbakauai.org. Follow on to the first Speaker Series in August 2007, these presentations were scheduled by Leadership Kaua`i Alumni continuing the effort to raise awareness on drug use and prevention with Gary Shimabukuro, Laualima Hawai'i, Mark Middleton, Martin County Sheriff’s Dept., and Thomas Janette and Scott Duva of the Connecticut Narcotic Enforcement Officer Association (CNEOA). This project took place over four clean up days working with the State of Hawaii, dedicated to restoring camping and bathroom facilities, running water, and beauty of Polihale. Efforts included general clean up of the area, implementation of boundary markers, painting of vandalized bathrooms and picnic tables, fixture replacement and vegetation cutback. The Aukahi Life Skills project mission is to provide the youth of Kaua’i basic life skill resources to ease the transition from high school to self-sufficiency via a youth-oriented Web page focused on the following major areas: 1) work readiness, 2) coping skills, and 3) money management. The March 11th fair featured several booths with informational handouts and speakers from the community who represented the three major areas. Students also had opportunities to have one-on-one discussions with the speakers. The Mentor program’s vision is to create an awareness and perpetuate the values and practices of the Kaua`i longitudinal study that made the Keiki resilient. The Mentor program is working in collaboration with the Kukui Malamalama program to mentor youth of Kaua`i, a chance to help shape the future of Kaua`i’s children through support and guidance. Kukui Malamalama’s monthly training events provide strategies for mentors to help build self-esteem, positive self-image and trust in our youth through healthy role modeling. Through this process we hope to decrease anxiety and destructive cycles in youth and strengthen family relationships so they can lead successful, enriched and meaningful lives. “Da Zone” is a safe and fun environment for teens to engage in a variety of diverse activities including live music, arts & culture, sports, science, environment, career/occupational, and personal, social, and leadership development. Members of the Pi`ina Hoku 2009 Youth Program committed their community project efforts to the “Follow our Future Leaders” Fun Run held Saturday April 11th, 2009 in Waimea. Over 80 runners came to participate in a 2k and 5k run. 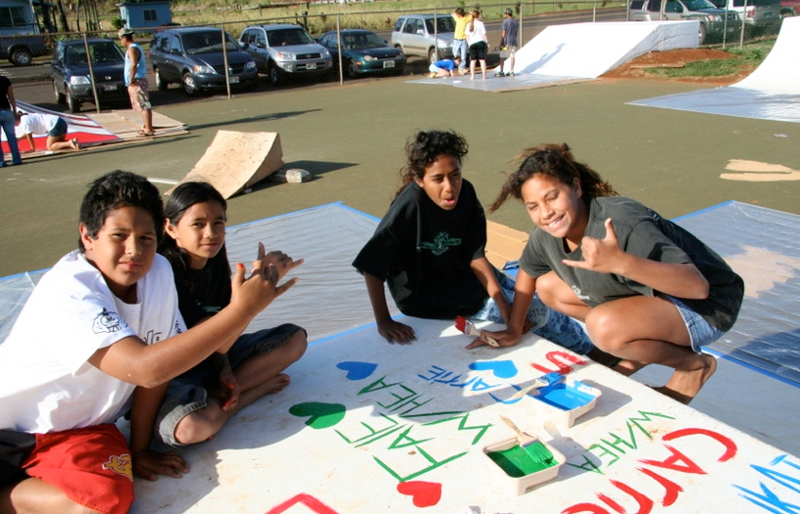 This community project raised funds to support 2009-2010 Pi`ina Hoku participant scholarships. The run was a huge success & the youth class raised $2,500 to split among all 20 participants, reducing their tuition fee to half. The Special Needs Shelter Workgroup mission is to address the needs of the community in an emergency within four different classifications of emergency shelters on the island: General Population, Level I, Level II, and Level III shelters. Plans exist for Level II shelters around the island, but deployment has not been finalized. Locations have been proposed, but no needs assessment has been completed to determine actual projected unit counts or appropriate geographic distribution. People seeking Level II shelters would be “individuals who have ongoing ‘enhanced special health needs’ and who, by the nature of their condition, need a heightened level of attention.” [Interagency Action Plan for the Emergency Preparedness of People with Disabilities and Special Health Needs, 2008] People requiring Level II sheltering are those in need of special attendant medical care, electricity to power medical devices and refrigeration for medication, and those in need of special assistance to perform activities of daily living or manage alone in an evacuation shelter. We will bring together the valuable work and people of the various stakeholders into an effective coalition. 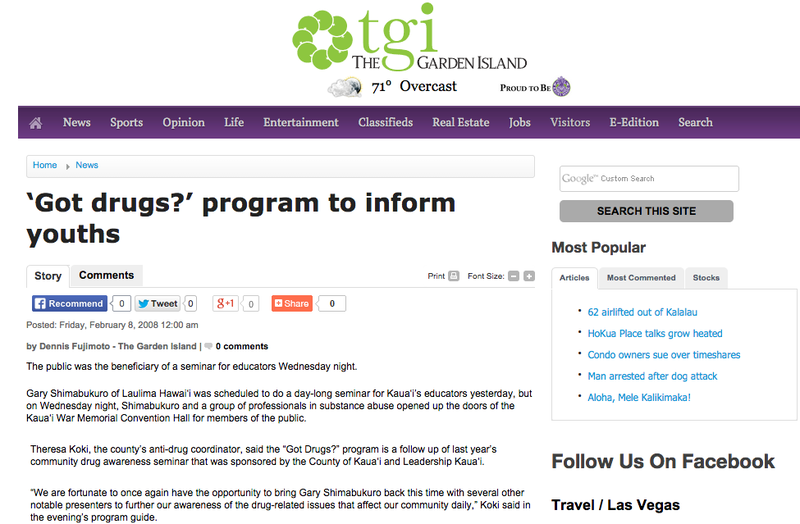 Community event series with a focus on drug prevention on Kaua`i. The presentations feature Mr. Gary Shimabukuro of Laulima Hawaii, on June 2 (Chiefess Kamakahelei), June 3 (Waimea Neighborhood Center), and June 4 (Princeville Golf Club), at 5:30pm each evening. The evening will also feature other speakers from the Kaua’i Drug Action Team, the Kaua’i Police Department, and a rehabilitation specialist. The Waipa Ahupua`a: Educational Project’s mission is to construct a model of the Waipa Ahapua‘a for the Waipa Educational Center, create an educational poster and organize an educational planting at Waipa. The project provides Kaua`i youth ages 7-18 with scholarships for travel and/or program resources (e.g. airfare, equipment, shoes, registration fees, etc.) to participate in program activities involving arts & culture, education and sports. This project intends to provide alternative learning and health opportunities for the youth of Kaua`i who would otherwise be limited due to economic hardship. The mission of Laulima Keiki is education and opportunity will overcome adversity. To assist sporting activities for the poor and needy this project aims to provide scholarships for 120 youth. This group reaches out to Kaua`i’s Kupuna. Their goal is to recruit a constant pool of volunteers and coordinate with four elderly care programs on the island of Kaua`i: Alu Like, Samuel Mahelona Memorial Hospital, Garden Isle Healthcare, and Hale Kupuna Heritage Home including the County of Kaua`i Agency on Elderly Affairs to increase visitation and foster relationships between Kupuna and members of the community. Special interest in recruiting and working with student volunteers (at the high school level) with a focus on increasing visitation during times of the year that are especially difficult, such as the months following the holiday season will be important pieces of this project. Volunteers will be recruited through publicity campaigns and a project Website working closely with the four elderly care programs mentioned above to administer any training volunteer may need. In addition, a database of volunteers interested in working with Kaua`i’s aging population will be developed and maintained to continue the program indefinitely, further expanding to meet the needs of all of Kaua`i’s Kupuna. This project will help to bridge generational gaps in the community, save the histories of our Kupuna and ease the burden of caretakers of the elderly, including family members and non-profit staff suffering from budget cuts. In addition, it will draw attention to care of the elderly and create a pool of volunteers for the future. Currently 1 in 8 Americans is over the age of 65; by 2030 that number will double. This project also provides Kaua`i’s youth with a positive program that teaches about health care and builds both self-esteem and a sense of social responsibility. This project will affect 310 kupuna at the various care homes participating in this project. Currently, the people of Kaua`i only have one opportunity to properly dispose of their hazardous materials, including household batteries, which is provided annually by the County. We will provide a location(s) where people can not only properly dispose of their household batteries, but have them actually recycled. It will be easily accessible and available year-round. Our hope is that this will alleviate some of the stress from the County landfills and eliminate some of the hazardous toxins that are escaping into our environment. This project will provide a year-round location(s) for the proper recycling of household (alkaline) batteries. This is essential in considering the environment and also to create space in our island landfills. Household batteries contain cadmium, lead, lithium, mercury, nickel, silver, and zinc. These metals can detrimentally harm the environment by discharging into our water systems or into the air and soil. With long-term exposure to these metals, they can cause numerous health ailments to the people of our society. These include (but are not limited to): damage to the lungs, circulatory systems, and reproductive systems; cause genetic, neurological, or psychological disorders; damage to the brain, kidneys, or fetuses; cause development disorders and immune deficiency. 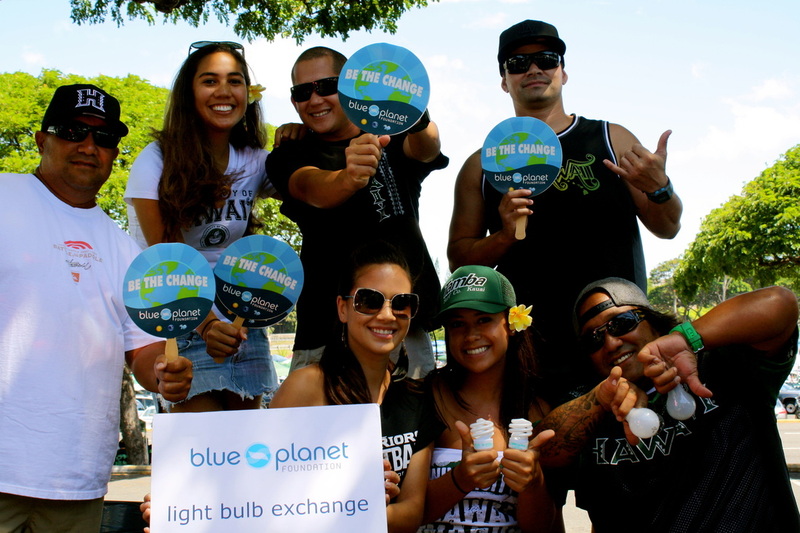 Through partnerships with KIUC, Blue Planet Foundation, and Trex Enterprise, this project group will create and development the Kaua`i Energy Education Program, www.KEEProgram.org. The project has three components 1) interactive website that allows site-visitors to self assess their home energy consumption, information on costs involved to retrofit to a more energy efficient movement and basic energy-wise information 2) Use data from the existing assessment that the high school facilities already have through KIUC and begin an awareness retrofitting to meet energy efficient standards 3) Through the use of the Kill A Watt, an instrument to measure consumption, each student will conduct a personal energy assessments of their own homes and share the data on their website along with a video demonstration on how to use the Kill A Watt. The youth and the adult leadership program teamed up together with the Hanapepe Salvation Army and local dentists to provide the community with a service project that focused on the Homeless on Kaua’i. Dr. Trisha Kehaulani Watson from UH-Manoa, author and contributor to the book, The Value of Hawai’i, spoke to our students and other interested community members regarding “Restoring Our Homes – Hope, Homelessness and Humanity.” Our students prepared and served a lunch in the Soup Kitchen and we assembled over 200 hygiene kits that were passed out at Salt Pond and Lucy Wright Park. Both of our leadership classes and RYLA camp students came together to provide a stewardship project for the Waipa Foundation on Kaua’i’s North Shore. Four hours of service were spent helping a local mahi’ai (farmer) eradicate weeds and pink menace apple snail eggs from his lo’i kalo (taro patch). Under Stacy Sproat’s direction, three hours of labor were spent landscaping the fishpond in the Waipa ahupua’a (land section that runs from mountain to see) with native plants. Not only were traditional Hawaiian farming methods learned, but students developed a strong sense of place and aloha for this unique area. Our youth program, Pi’ina Hoku, with the help of Councilman Tim Bynum, identified their community project for the year to bring awareness of teen issues (underage drinking, illegal drug use, teenage pregnancy, depression/suicide) to their peers. Adam Prall of ThinkingMan.com and our youth leaders created a website (www.Thot.LeadershipKauai.org) for a national contest that awarded a $500 cash prize for the best media entry that brought a positive light to one of those issues. The students raised the money through service to the West Kaua’i Rotary Club and the winning entry was announced and streamed LIVE at their leadership graduation at the Kaua’i Beach Resort on April 16, 2011. Both of our leadership classes worked for a combined 8 hours to eradicate blackberry from the Kaluapuhi Trail in Koke’e under the direction of Brad Soria and Hui o Laka. This group wanted to do something about the gradual disappearance of aloha from our daily routine. They have developed 2 components to revitalize the aloha spirit here on Kaua’i: 1) an education pilot program that will help students in a local high school’s leadership development class to grow a deep sense of belonging to a community and desire to care for one another; and 2) “Acts of Aloha” that selects 4 events a year for their network of volunteers to participate in that will benefit the community. This group’s mission is to provide at risk students in grades 6 through 12 with opportunities to learn about Kaua’i’s mountain and ocean ecosystems through experiential education and literacy with a cultural connection. Activities currently include eradicating invasive species in Koke’e’s forests, beach cleanups, zoning for the monk seal and pup sitting projects. Leadership Kaua`i. The Mayor’s Proclamation can be viewed on our YouTube Channel at www.youtube.com/user/lkexdir. This group created an impactful and informational DVD for funders, neighborhoods, schools & employers to utilize as a tool to help combat drug and alcohol abuse on Kaua`i. This DVD includes powerful interviews and statistics, and speaks to the need for help in Kaua`i for people with addiction to drugs and or alcohol. The adult and youth classes worked together to organize and host "Kupuna Day" at the Regency at Puakea on January 14th, 2012. This event included games, craft projects, karaoke, and other entertainment to uplift the Kupuna’s spirits. This project included interviews with a number of the Kupuna to gather information on their life experiences that is being compiled into a book or online source titled “Recipes for Life”. This project was organized and led by the youth class and was supported by the adult class. “For Da Kids” Sports Day Camp was held on October 15th, 2011, and provided youth ages 4 – 13 years old a chance to learn a new sport, get active and have fun. More than 60 youth attended and rotated through three different sports throughout this day-long event: Soccer, Kickball, and Basketball. In partnership with the County "Kaua`i Grown" organization, our 2012 Pi`ina Hoku Youth Leadership class organized a special event during the farmers market at KCC on Saturday, March 17. The goal of this project was to encourage local teens to support our island farmers. This project included live entertainment, and a teen survey to identify what products would be of most interest to them at the various farmers markets around Kaua`i. As an incentive for teens to take the survey, the event concluded with a random drawing for one of the survey participants to win an ukulele. This project consisted of interviewing and creating 6 videos featuring 6 successful businesses on Kaua’i. The goal of each video is to inspire more local people to embrace the entrepreneurial spirit and create new businesses of their own and made available through the Hawai’i Small Business Development Center. Another goal is to encourage our youth to return to Kaua’i after their college education by showing them successful local businesses. Leadership Kaua’i has a strong network of alumni and this project brings them all into an online database so that alumni can continue to connect easily with each other and continue productive collaborations among organizations on Kaua’i. The database will also be available to Kaua’i high school seniors needing a mentor for their senior projects. This is an informational sign for kāma‘āina and visitors that provides the history and culture of the Salt Ponds. The interpretive sign will include: the history of Hanapepe Salt Ponds (moku/ahupua’a), and the process of salt-making; the value of the 2 rare forms of salt – pa’akai (white sea salt) and ‘alae (red sea salt). The mission isto increase awareness of the cultural and historical significance of the salt pond, increase respect and care of salt bed, and increase cultural and historical value of salt beds. ​Knowing that finding something fun and safe to do on the weekends for our families and keiki is something they are ALWAYS looking for. So why not a movie night? Instead of driving all the way to Lihue or sitting at home on the couch they can grab our cousins and friends and go catch a movie in the park. Outdoor movie nights were held at Kehaha Softball Field and Vidhina Stadium for families to bond and enjoy themselves. The best way to enhance the quality of life on Kauai is through education. Focused specifically on raising awareness of Science, Technology, Engineering and Mathematics, by supporting the 2016 Kauai Regional Science & Engineering Fair. They connected professionals to help at the fair, event coordination and logistics, inspired Kauai’s Youth by providing a fun and educational LED paper flashlight to make at the fair, grow the future events by collecting data for improvement and complied a DOE Directory resource for judges, mentors and supporters for future fairs. The Class of 2016 proposed to build a Football Storage Facility located within the Bryan J. Baptiste Sports Complex in the Kapa’a Ballpark. The project’s design and construction is a community-collaboration between Leadership Kauai and Kauai Pop Warner Football. The purpose of the Project is to safely and securely store costly athletic equipment, temporary shelters (pop-up tents), first-aid kits, and other related items in convenient proximity to the football stadium. This 20’ x 60’ unit divided into three 20’ x 20’ sections, and will include electricity and water spigots. maintenance and other related costs.